Just a note to let everyone know I’m in Canada with my son’s band tour. I’ll respond to all emails Monday/Tuesday. Thanks for your patience. I thought I had a photo of the 2 of us, but it’s on his phone. 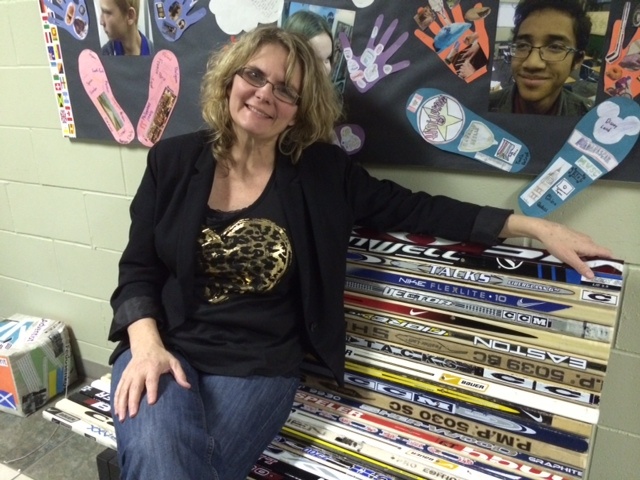 Here I am at one of the schools with the coolest bench made out of hockey sticks. SO CANADIAN!! !